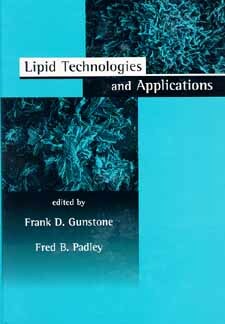 Lipid Technology Book from C.H.I.P.S. This up-to-date volume provides -- in 31 authoritative chapters -- a comprehensive review of the major technologies and applications of lipids in food and nonfood uses, including current and future trends. Introduction: Fatty Acids and Lipid Structure. Major Sources of Lipids. Phospholipids. Lipids and Nutrition. Processing: Extraction of Lipids from Natural Sources. Refining. Oil Storage, Transport, and Handling. Fractionation. Interesterification of Oils and Fats. Hydrogenation of Edible Oils: Technology and Applications. Food Emulsions: Butter, Margarine, Spreads, and Baking Fats. Ice Cream. Cream Alternatives. Nonaqueous Foods:Ghee, Vanaspati, and Special Applications of Fats in India. Chocolate and Confectionery Fats. Frying Oils and Salad Oils. Special Food Applications: Edible Coatings and Film Barriers. Spray Processing of Fat-Containing Foodstuffs: Spray Drying and Cooling. Low Calorie Fats. Food Emulsifiers. Lipid Emulsions for Intravenous Nutrition and Drug Delivery. The Role of Lipids in Animal Feeds. Nonfood Uses: Anionic Detergents. Cationic Surfactants. Nonionic Surfactants. Lipids: Their Use in Personal Care Products. The Use of Oils and Fatty Acids in Paints and Surface Coatings. Lubricants. Epoxidized Oils. Bio-Fuels. Products from Castor Oil: Past, Present and Future.